Happy Thursday everyone! I hope all of you are having a great day and getting ready for the upcoming weekend. I know I sure am! 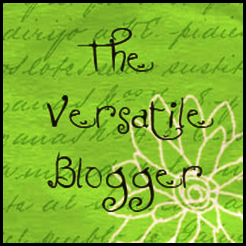 This morning, when I logged onto WordPress, I was quite surprised and grateful to find that I was given The Versatile Blogger Award! It was passed along to me by my wonderfully talented and entertaining friends at Limebird Writers. They were so kind as to hand this award to me so I would like to say THANK YOU, THANK YOU, THANK YOU to them, along with a big CONGRATULATIONS to Limebird for receiving it themselves! 1. Thank the award-giver and link back to them in your post. – Thank you again, Limebird Writers! 3. 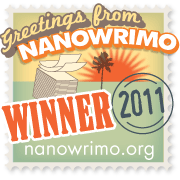 Pass this award along to 10 blogs you enjoy reading. 1) I have visited six countries including: Canada, the Bahamas, Poland, Spain, Morocco, and traveling around my home-country the United States. 2) Every kid dreams about what they want to be when they grow up, and their dreams and goals change numerous times. My career dreams went something like this: first and for the longest time, I wanted to be a vet – but too much schooling, math and science for me. Second and for only a brief time, I wanted to be a tattoo artist – until I realized I could not draw to save my life or other people’s skin. Third and still wanting to do it today as a side job, I wanted/want to be a photographer. And fourth and the one which was in the back of my mind all along, I wanted to be a writer – which I will be studying and achieving. 3) I would rather read non-fiction than fiction. 4) I met my boyfriend in Maine when I was 18 and he was 26 years old. I moved to Spain to live with him a few months after we met. Now, 3 years later, we are still together and I am still living in Spain with him. 5) I never went to college. I have never had a “full-time” job. I have barely any money to my name. Come January, I will finally be starting my freshman year at university here in Spain at the old age of 21! 6) While your 21st birthday is supposed to be one of the best and biggest birthday celebrations, mine was celebrated quietly at a friend’s bar here in Spain. Why? Well, since the drinking age in Spain is 18, I had already been drinking legally for 3 years. I guess turning 21 isn’t as big of a deal for Europeans as it is for Americans. 7) My family in Michigan owns alpacas. Not llamas, alpacas. We have about 20 or more of them and during the summer, when the boyfriend and I visit, we work on the “farm” to get extra spending cash. It’s hard work and the alpacas don’t do much, yet we have had a few adventures around those weird animals. Michigan in Pictures – Comprised of gorgeous photography and cool articles, this blog reminds of the beauty of my home-state of Michigan. 50 Year Project – T.B.M. features a daily “Travel Photo of the Day”, book reviews, and a fun country, book, and movie challenge. T.B.M.’s blog is definitely one to check out! Mutua Matheka – A photography blog, this particular photographer is extremely talented. I love looking at his stunning photographs and the different themes he captures and conveys. Animal Blawg – With information, tips, and general animal news, this blog is dedicated to animals and their rights as living beings. It’s a very informative blog, and if you’re an animal lover, I definitely suggest you check out this blog. Whimsy Dreams – I just love reading April’s posts! Ranging from her habit of stealing pens, her dislike of kid pageants, and most recently, the “meat man“, if you want entertainment and humor then you should definitely visit her blog! The Magnificent Whatever – Come on, there’s really nothing better than funny comics and hilarious “follow me on twitter now” threats! A Story Every Day – An idea and concept such as this should not go to waste. I just love this blog and currently they are accepting submissions so please, check them out! All Write – If you want real and honest posts, which will also make you laugh, then check out Harper’s incredibly intelligent blog! Katie’s Camera Blog – Another photography blog, Katie’s photography is worth looking at! I also enjoy her descriptions of each photograph. A Creative Place to Be – Sue is extremely talented. The layout of her blog and drawings she posts just gives you a sense of relaxation every time you click on her link. I absolutely love checking out her blog and suggest you do too! So, congratulations to the blogs I have awarded to. Your posts, writing, pictures, and information is the reason why I visit your blog on a daily basis and suggest others do the same! And thank you once more to Limewriters! Posted in Random and tagged 7 things, a special thanks, award, blog, blog award, blog posts, blogging, grateful thanks, palm trees & bare feet, thank you, the versatile blogger, the versatile blogger award, wordpress blog award. Bookmark the permalink. Congrats! Thanks so much for the award. I really enjoyed the 7 things about you. I hope you enjoy school. You’ve had a wide variety of interests, from being a vet to a tattoo artist. I went to Spain a few years ago and I fell in love with it. I would like to retire in Barcelona. Thanks! Yes, I was quite an imaginative and unrealistic kid. Haha. I’m excited to read your 7 things! And I still have not been to Barcelona. I know you really like it so I’m excited to go there whenever that opportunity comes up since you talk so fondly of it! I love that you had the courage to follow your heart to Spain and that your family owns alpacas – I always thought it would be fun to have a few – what are they like? They don’t do much honestly. When I was younger I used to show them and perform obstacle courses with them. That was a lot of fun. We don’t do too many shows now, however we do send out their fleece to be made into socks, sweaters, scarves…etc. Their fleece is so soft and it’s funny to watch them after they have been shorn. They “dance” and jump around like a huge weight has been lifted off their backs! It’s very cute! If you do get alpacas, make sure you get more than one because they are social creatures with each other. They enjoy company – well alpaca company, they are usually fidgety of humans. Hey – thanks for the award for Michigan in Pictures! Where are you from in Michigan? And I was born in Detroit, raised in Sterling Heights, but moved to Lake Orion/Oxford years ago. I used to despise MI, probably because I had never been out of it, but after traveling and coming home, I realized just how beautiful MI is. Oh, and I also have a cottage on Lake Huron in Lexington. It’s one of my favorite places in the world! You guys have such lovely photos. Thank you! I loved your seven things. Here’s one thing about me that most people don’t believe: I have five tattoos! When you refine your technique, I’ll get one from you! Thanks again and keep writing. You’re good at it! Wow! I would never have guessed that you have five tattoos! Make sure you put that as one of your “7 things” and list what they are! And surprisingly, since I wanted to be a tattoo artist, I have no tattoos! I’m very afraid of needles so I would NOT suggest getting a tattoo from me! Ha! And your blog definitely deserved the award! Keep photographing!